Spain’s economy finally appears to have turned a corner following the financial crisis. Back in 2008, the country’s unemployment rate shot up by 36 percent and, when the property bubble burst, investors couldn’t dump Spanish real estate fast enough. Today, however, there is a very different outlook: the economy is doing well; Spain’s banks are healthy; there is an investor-friendly legal framework; and property is still cheap compared to other European cities. The recovery started six years ago with a €41bn banking system bailout and is gathering pace as lenders clear out toxic property assets. At BND Levante, we are playing a leading role in this recovery by facilitating safe, reliable investments in Spain’s property market. As the winner of European CEO’s Best Real Estate Investment Company Award, 2018, we are extremely proud of the service we deliver to our clients. By issuing corporate bonds as an alternative financing option for property investments, we are able to provide hassle-free investments that deliver a fixed return into our customers’ bank accounts. What’s more, an entry-level investment of just €5,000 is all that’s required to begin a bond portfolio with BND Levante – making it ideal for novice and experienced investors alike. The Spanish real estate market is experiencing a new boom, this time in the rental sector. According to industry experts Idealista, the average rent for new leases has risen 20.9 percent over the past year. Cities like Benidorm, in particular, have witnessed record average prices due to a combination of increased demand and a fall in supply. That is because many homeowners who had been renting out their properties during the economic slump are now putting them back on the market as prices start to pick up again. Added to this is the fact short-term rentals to tourists have become a more profitable proposition than long-term leases. 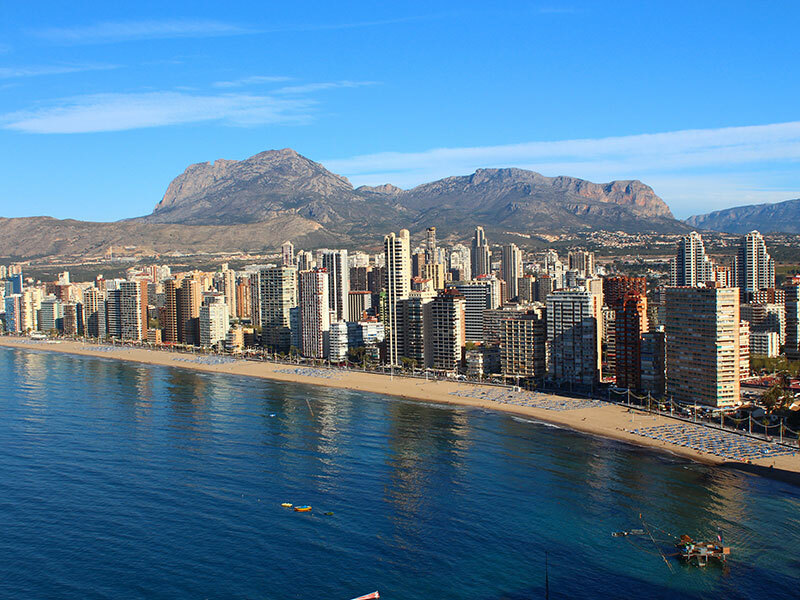 If you like a bit of hustle and bustle on your holiday, then you’ll enjoy the energy of the Levante area of Benidorm. It boasts beach, hotel and theme park pleasures by day and the highest concentration of entertainment and clubbing venues in Europe by night. Or, if you just want to relax with family and friends, there are plenty of opportunities to do so, including taking in the sun by the pool with a cool drink in hand. With such a variety of activities on offer, it is hardly surprising that tourism in the city is booming – and the property sector is reaping the rewards. Many international real estate investors are keen to find the next big property boom but, in their eagerness, they can end up paying inflated prices. Further, without a full knowledge of the local market, investors can find achieving full occupancy challenging. At BND, we provide the market-leading knowledge investors need to achieve the highest possible return on investment. As the only real estate company offering corporate bonds to investors in Benidorm, we deliver a unique service that enables investors from all over the world to profit from the short-term rental market in the city, without the hassle of a mortgage or finding tenants. The result is a safe, secure investment. Purchasing bonds is a very simple process. Anybody can visit the BND Levante website and sign up to gain access to our member area, read our investor report and input the necessary details required to finalise the purchase. Going forward, we have put plans in place for a new type of bond that we will use to develop our own skyscraper, offering investors a sizeable return on completion rather than a fixed monthly income. With our portfolio of prime real estate growing all the time, there’s never been a better time to invest in Benidorm’s booming real estate market.